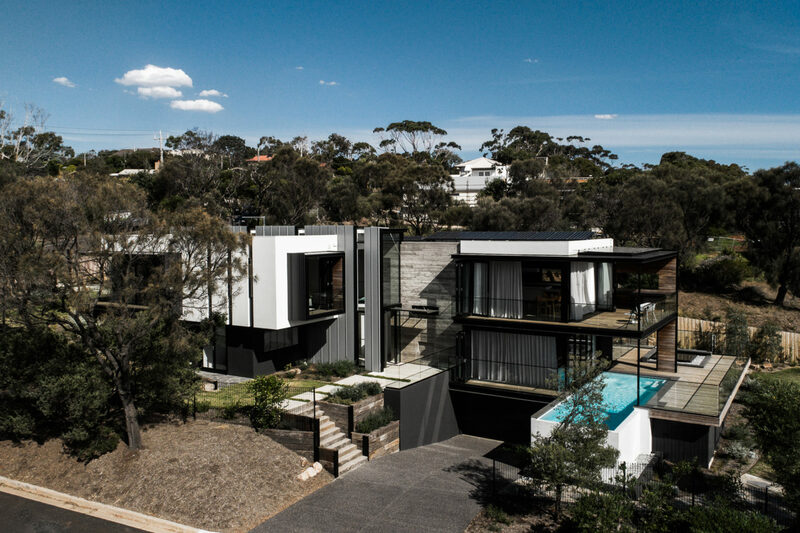 This new residence in Mt. 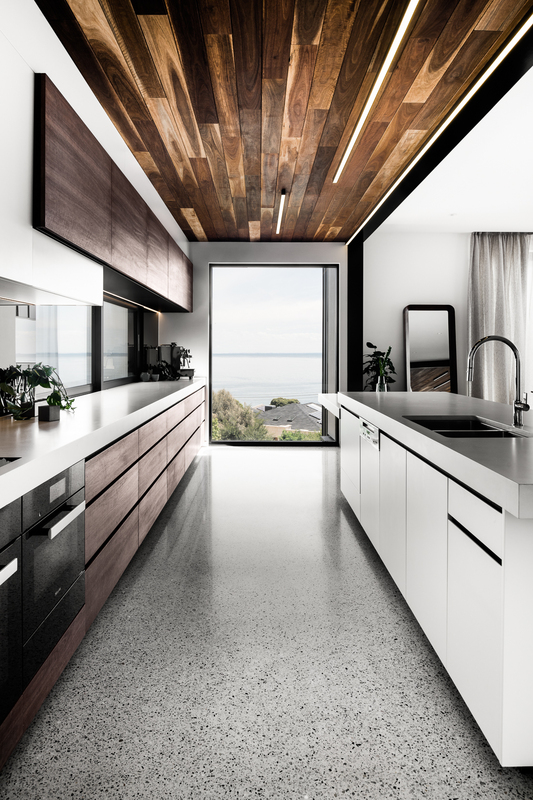 Eliza responds carefully to its remarkable corner site. 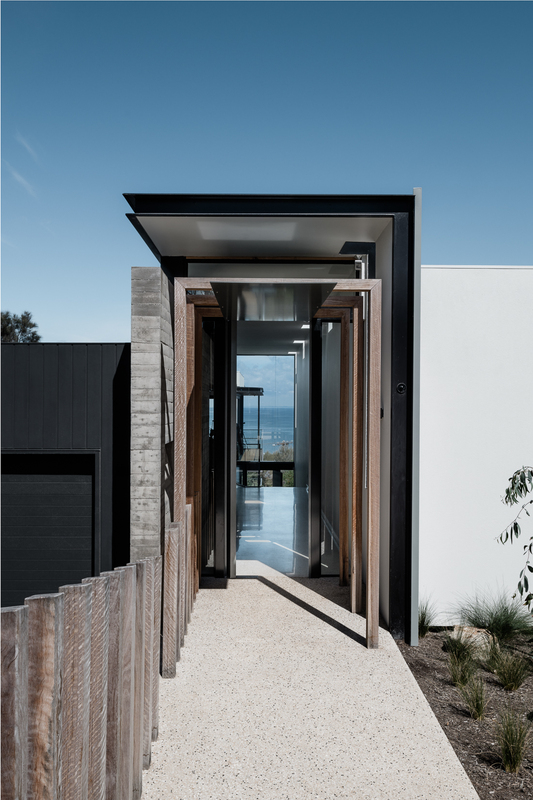 In addition to following the contours of the land, the living and master bedroom pavilions angle off the street grid to frame the prioritized ocean views to the north and west as well as orient the primary spaces of the home to maximize the sun. 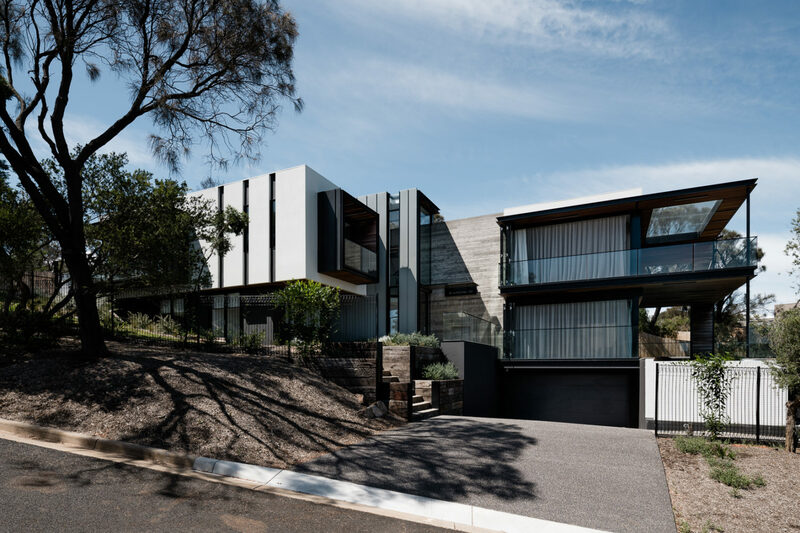 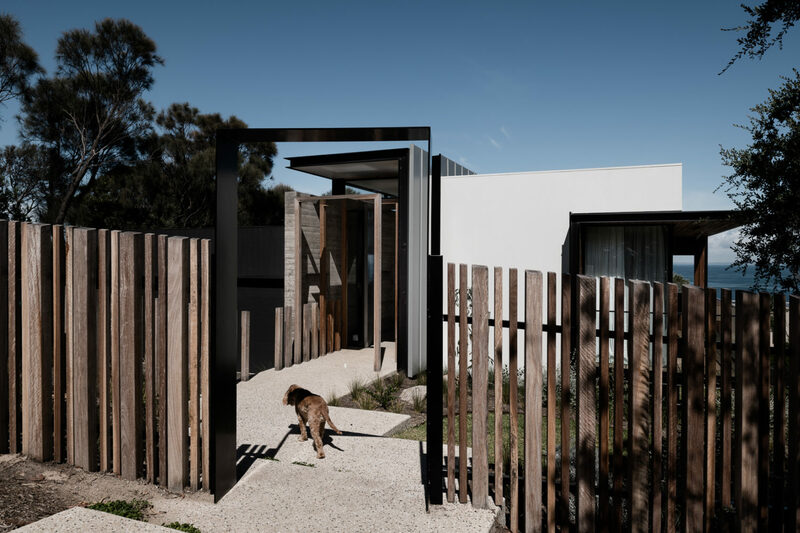 The front of the home is accessed via a cascading steel canopy covered pathway into a seemingly modest single storey home. 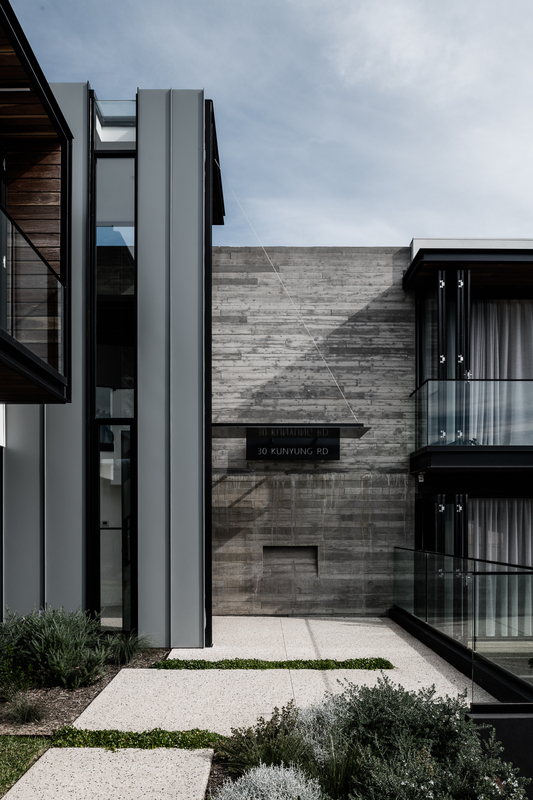 Upon entering however, the grand scale of the residence is revealed. 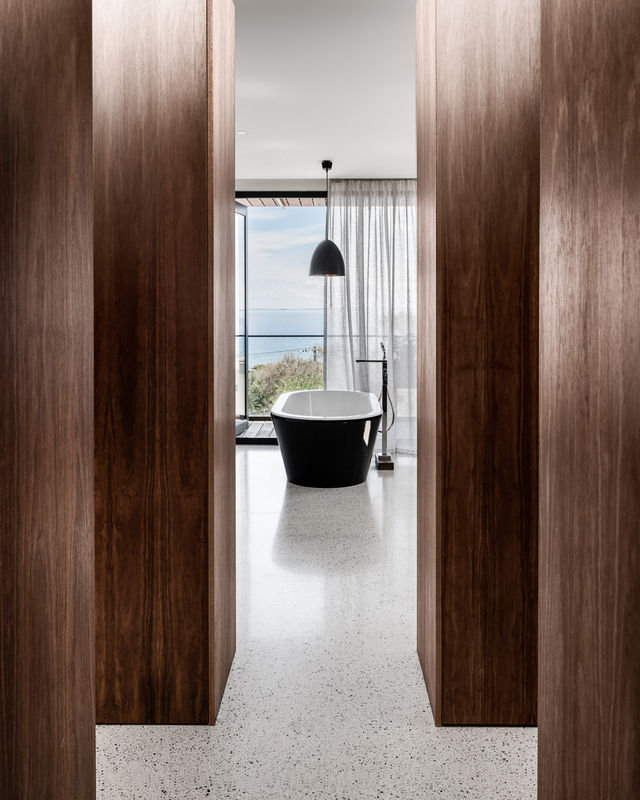 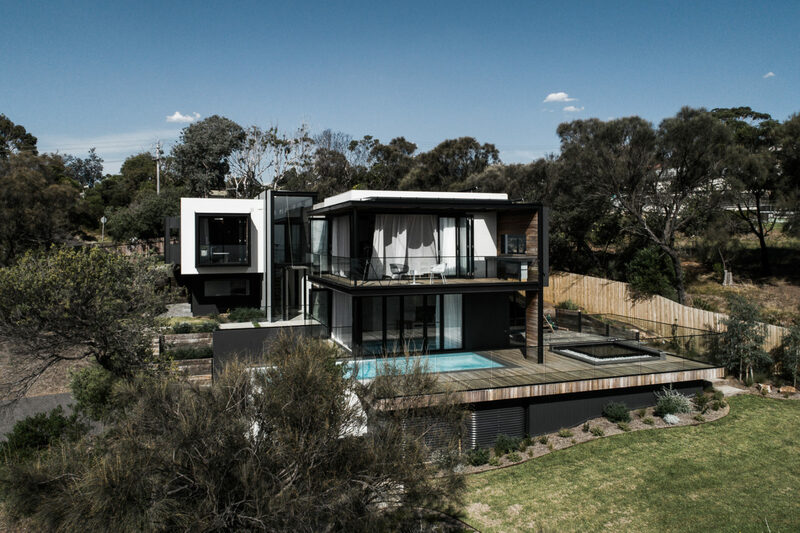 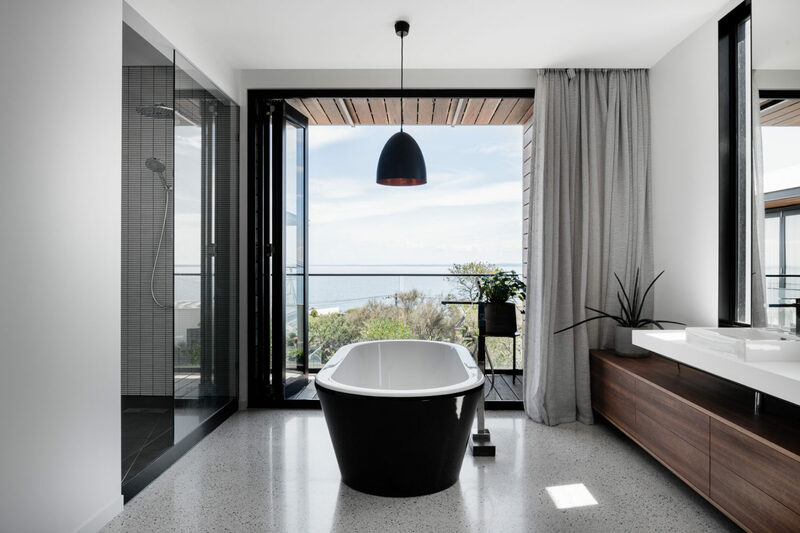 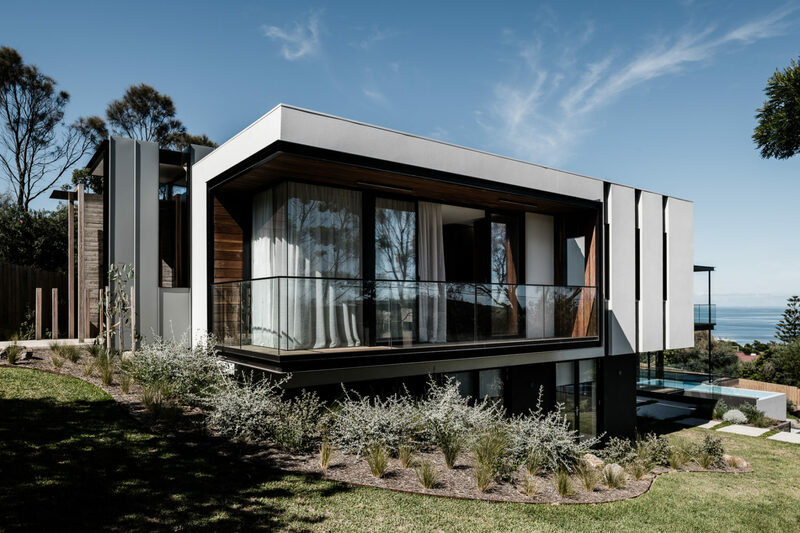 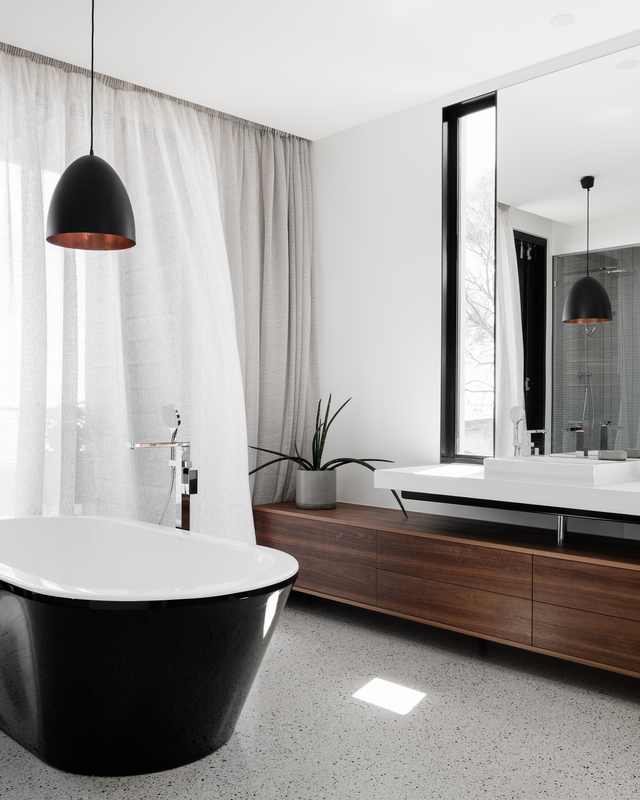 A truly impressive master suite has a north and east facing balcony which will allows the clients to both wake up with the morning sun and maximize the view corridor down Kunyung Road to clearly highlight the striking Melbourne skyline across Port Phillip Bay. 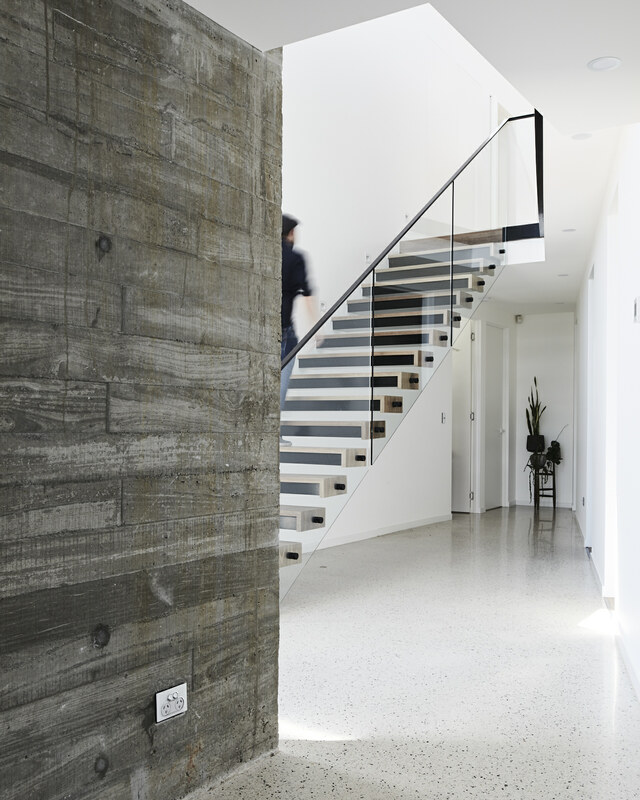 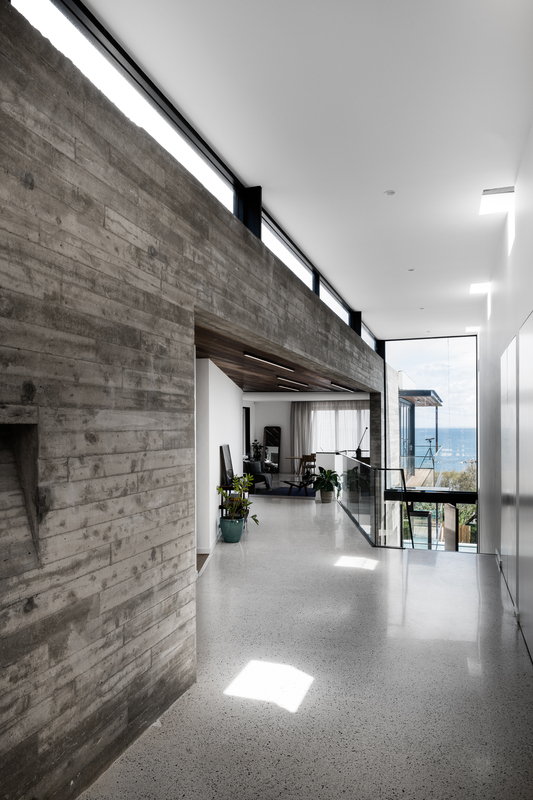 The light flooded main entry “spine” leads to a double height void containing a floating staircase to the second living area below. 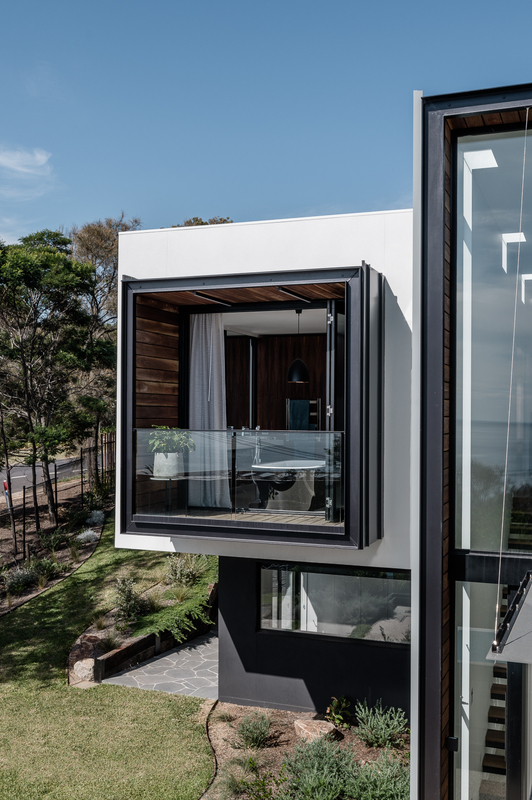 The spine and stair intentionally culminate and focus the eye into a two storey window wall which greets guests with spectacular framed views across the bay. 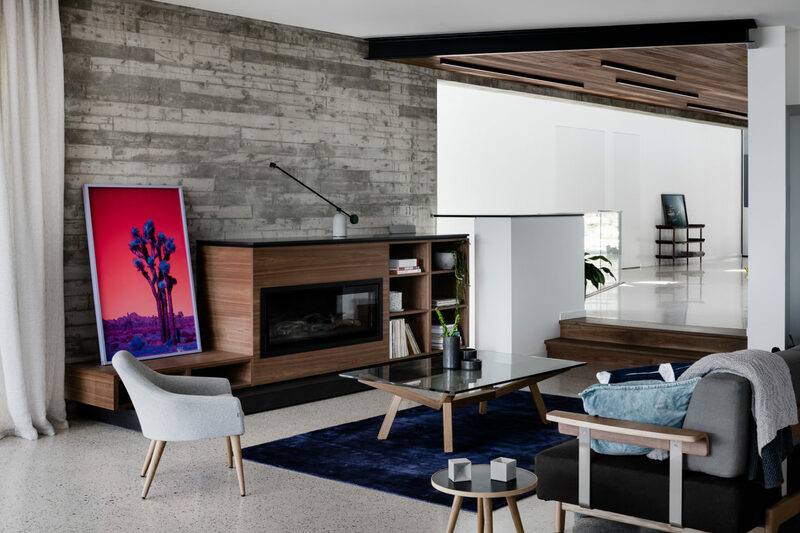 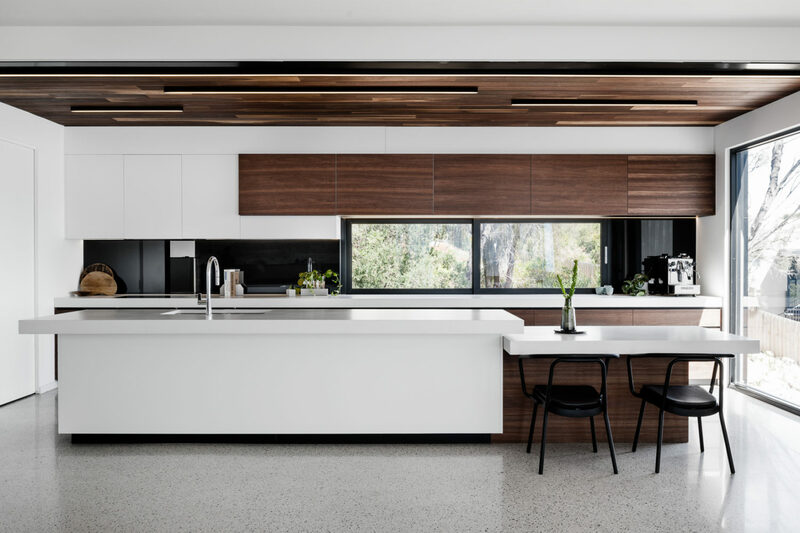 Adding to the visual extension and feeling of space which is apparent upon entry, the stepped down open living, dining and kitchen area is just beyond the double height void. 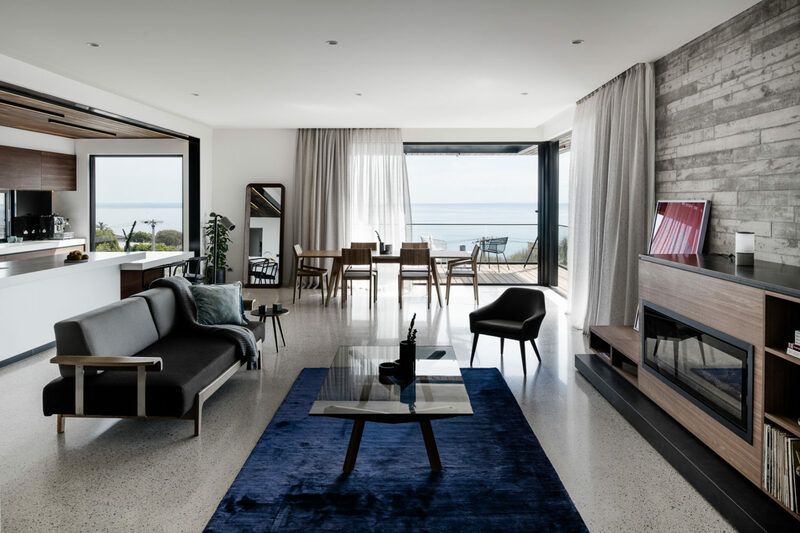 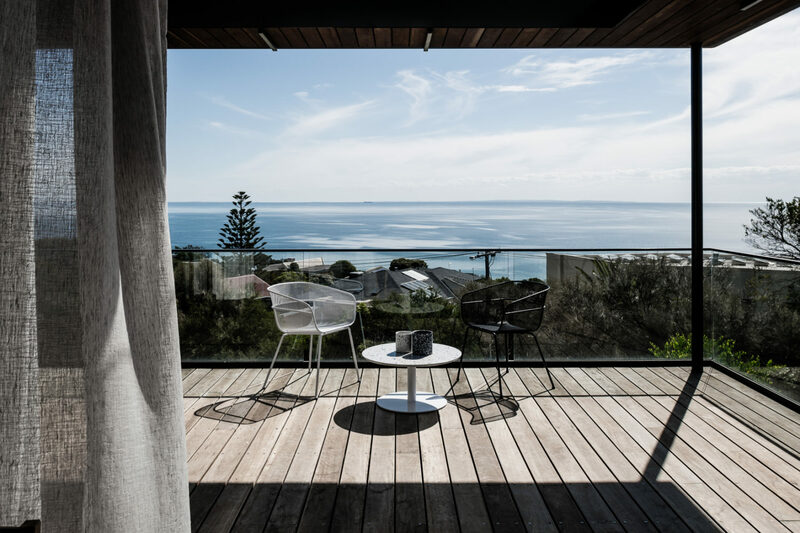 Finally, a shaded west facing deck, extends off the living area above the pool towards the sun’s final dramatic destination over the faint silhouette of the Mornington Peninsula National Park in the distance.